Your parenting path is unique to you. 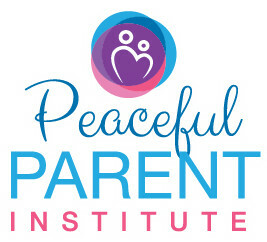 But to parent from the heart in the way that we as parents want and need to, in the way that our children need, it really helps to feel confident and relatively at peace with doing it our way when. Yet this is easier said than done, especially if your way isn't necessarily the norm within our family or community. To feel strong and confident as parents, being only human, we do need to have at least some emotional support and backup ourselves. If we don't have the support, we need to somehow create it. Support is a sanity saver! We all need at least someone who supports us to do it our way, be it someone who lives locally, overseas who we can ring or people in an online group, but it needs to feel personal and real and accessible in moments of high stress. Parenting is an ongoing journey of learning and growing, changing and adapting to changes in ourselves and changes in our child. We need to feel free enough to do it our way and learn from our own mistakes. To allow some enjoyment of the journey, it certainly helps to not be too over stressed, stretched, scared and lacking in a sense of security and belonging ourselves, or at least not for long periods of time. "I wish!" I hear some of you say and I would have myself said at different stages on my parenting journey. Sigh! Easier said than done I know! Hence the journey! Instead of wishing we could be the perfect parent right now, it's much healthier to settle in to the long haul journey of coming to peace with ourselves as parents, coming to peace with the shortcomings of our own childhood, which may in itself mean coming to peace with how hurt, disappointed, heartbroken, angry or outraged we feel about the wounds and unmet needs that spill over into daily life, which likely relate back to childhood. In a similar way that our child needs to feel truly heard and not fobbed off or criticized when they're upset, as parents, our repressed emotions need to surface and gain some acceptance before they can be resolved. The sore emotions that a parent is unable or unwilling to meet in a healthy way, will likely come out through unhealthy coping mechanisms, like self-medicating with food, cigarettes, alcohol, mind numbing media, depression, angry outbursts, the list goes on. Parenting is a journey of personal growth whether we choose it or not, it's kind of forced upon us, especially for the parents who commit to not just passing on to their children the shaming, repression, blaming, rejection and mistreatment that they themselves experienced. As soon as a parent makes a commitment to not shame or yell at their child, but to instead be more mindful and responsible with their emotions (hence modelling the same), when committed to not expelling those emotions onto the children, a parent is faced with the burning question of "but what do I do with all this frustration and anger?" When parents embrace this challenge, they are so often led onto an inevitable journey of self-healing and increased self-awareness. This isn't an easy road, but it will most likely lead you in the right direction towards increased peace, harmony and happiness. When we can allow and embrace the reality that those uncomfortable emotions are ours to be felt and met with kindness; evolution, magic and healing can occur. We begin to break generations of unhealthy patterns while embracing generations of positive patterns and bring it all together in a beautiful unique package that enhances our family's uniqueness. When we can accept that the journey is a long one, every step along the way can bring it's challenges and it's victories. When we increase our value of the journey itself, not just the big successes, but the self-appreciation of being on a path of increased self-awareness, then every step can potentially become a celebration in itself. We’re all allowed to still have a list of issues the length of our arm that we want to work through, in fact the more aware and conscious we become on the path towards peace, the more the layers of denial and pretending to be the perfect happy family lift and the sheer reality sets in of all the healing that's needed. This can be daunting, but sobering. The goal is not to become the perfect harmonious family as fast as possible, (as much as that would be nice), but to be a parent who can love and accept yourself as the person you are, which makes it easier to accept your child as the person they are and the family you are; the good, the bad and the ugly. Every challenge is easier to tackle when there's an acceptance that it is how it is right now and accept all the related feelings. Life is a journey of learning and growth and we constantly learn and deepen through our challenges. Why we explode and how to prevent it? Good article. It all rings true for me except I would reverse this statement: “to be a parent who can love and accept yourself as the person you are, which makes it easier to accept your child as the person they are….” I have always seen my son as his own person, which has helped me be kinder to and accept myself as such.